When you’re looking for them, precious metals are everywhere. If you’re married, you’re probably wearing a gold band around your ring finger. If you’re reading this on a computer, you’re using electronics that frequently employ precious metals. Heck, if you’re just sitting there, there’s a chance you already have gold in one of your teeth. The precious metals, when properly used, can become unexpected treasures. Just because they come in small amounts doesn’t make these precious metals worthless; in fact, you’ll find, they are worth quite a deal to a large number of people. This article is all about finding the unexpected treasures all around you. Once you dig in and learn where these precious metals often hide, and how to sell them to brokers, you’ll be able to start your own treasure hunt today. -Gold in teeth. Believe it or not, that little amount of gold that dentists like to use to sustain or replace teeth is worth something. Often, appraisers find that people are so happy to find this extra cash literally under their noses that they don’t even insure the teeth before sending it in to a precious metals broker. Some people even save their old gold crowns or caps from years before because they know it’s worth something. When gold prices go up, the value of these unexpected treasures go up, too. And it’s not hard to recycle this gold for cash – usually you can simply send off old gold teeth or crowns to firms who will do the work for you. -Cellular phones. Do you have an old cellular phone you never use? Chances are it contains some gold, silver, or copper. A practice called “Urban mining” (http://www.canada.com/calgaryherald/story.html?id=ef50e390-45cd-4a84-b783-d797df65dc31) involves people looking through garbage for old, disregarded electronics – including cell phones. In fact, it’s such an effective way to look for gold that it’s possible to extract more gold per ton of cell phones than is extracted from actual ore. Consider that the next time you want to throw out an old cell phone. -Computers. Computers, like cell phones, are electronics that contain precious metals, usually gold and silver, but sometimes other metals like tin or copper. Because computers are constantly becoming obsolete, people often throw out old computers without considering their innate value in precious metals. According to the U.S. EPA, in 1998, only 13% of computers were recycled or re-used. It’s not just gold you can find. Silver can be found in electronics (along with other metals like copper and tin). It’s important to remember that just because you don’t have old broken jewelry doesn’t mean you don’t have any recyclable precious metals available to you. Try going through an old electronic supply to see the unexpected treasures lying around your house. -Broken jewelry. While the distinction of “broken” leads many to believe that their jewelry is no longer worth anything, broken jewelry is frequently repaired or recycled. The gold, silver, and platinum available in broken jewelry are still in tact and are worth just as much as individual commodities themselves. You don’t have to have jewelry repaired to have the precious metals it contains appraised. An unexpected treasure turns up in broken jewelry because you find that the precious metals are not only worth saving, but potentially worth selling. -Garbage. You often hear “you won’t believe the stuff people throw away.” Well, it’s true. “Urban mines” contain the gadgets mentioned above, as well as a treasure trove of other electronics, including televisions and music players. In Japan, there’s enough platinum in electronics-laden landfills to equal six times platinum’s global consumption (http://www.ecogeek.org/content/view/2128/82/). People are literally throwing away treasure. It defines the phrase “unexpected treasures” to find some of the world’s most valuable materials in garbages and landfills. 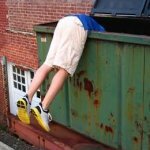 That’s not to say you should go “urban mining” and poke around your neighbor’s garbage can, but it should help you become aware of what not to throw out – without some mining yourself – in the future. Those are just some of the unexpected treasures you can find if you increase your awareness of precious metals. What do you do once you have these metals in possession? Gather them together. Make sure they’re safe and secure, and then find an appraisal. It’s easy to go online to find appraisers: make sure you find one you can trust. Don’t take your metals to a pawn shop – they’ll often give you inaccurate appraisals. Many metal brokers will give you a free appraisal and then make you an offer on your metals right away. Once you have a check in hand, it will be hard to deny the many unexpected treasures that you can find right under your nose.